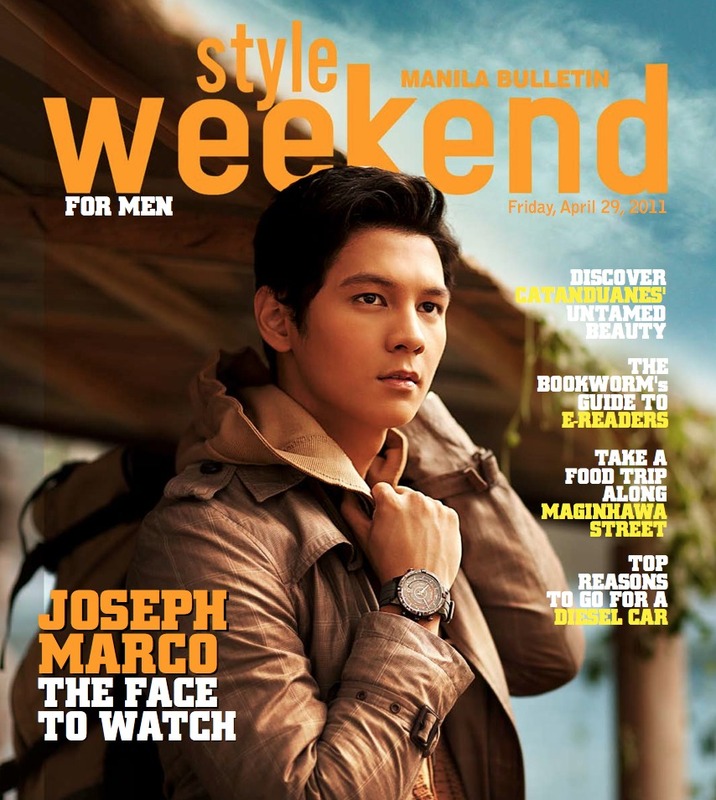 please buy manila bulletin tomorrow (apr 29) for your free copy of style weekend for men! (men's issue comes out every last friday of the month.) on the cover, up-and-coming actor joseph marco, photographed by mark nicdao, styling by pam quiñones, grooming by juan sarte III, watch by timex. also in this issue: why you should buy a diesel, which e-reader to buy, profile on good charlotte, food trip in maginhawa street QC, discover catanduanes' surf spots, and georgina wilson centerfold!